The Muzzle Loaders Little Library. Ackerman. A compilation of four books written in 1966 and 1967 by Major Ackeman, a shooter and practical gunsmith. 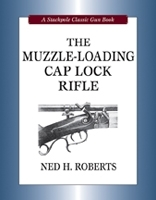 In combining Introduction to Muzzleloading, Shooting the Flintlock Rifle, Shooting the Percussion Rifle, and Care and Repair of Muzzleloaders, into one convenient volume, Major Ackerman’s work has only been updated to include today’s current information. Well illustrated. An excellent reference for the old-timer as well as the beginner. Soft cover 108 pages. Once again Matthews offers his astute insight into the world of black powder cartridge rifle silhouette shooting with more tips and "recipes" for the accuracy needed to effectively compete. From cross-sticks to mirage to making your own casting dipper and bullet lubricant, Paul imparts all the facts and figures necessary to come out a winner! Finding the right cast bullet to perform in your black powder cartridge rifle can be a pursuit of disappointment or reward. Matthews puts into perspective the tools and techniques used to make your cast bullet shooting a success. Contains fine points not covered in Matthews's other black-powder books, such as lube recipes, good bore cleaners and over-powder wads. Tips on compressing powder charge, combating wind resistance, improving ignition and combustion, and case annealing. More How-to.s for the Black Powder Cartridge Rifle Shooter. Matthews. Paul is the authoritative figure in the world of Black powder cartridge rifle shooting. This new books expands on his previous work with more tips on compressing powder charge, improving ignition and combustion and case annealing. Loading the Black Powder Rifle Cartridge. Matthews. Although a muzzle loader is one of the simplest and most functional firearms ever devised, a myriad of questions challenge modern muzzleloader hunters and shooters, who have more types of firearms, powders, loads, and other products to choose from than our ancestors ever thought possible. In The Ultimate Guide to Blackpowder Hunting, Al Raychard answers these questions and many more, covering such topics as the anatomy of a muzzleloader, muzzleloader types and designs, ignition systems, propellants, projectiles and barrels, and loading up and sighting in for hunting. Raychard also gets into explaining field-tested tactics for hunting a variety of big-game species. Learn the facts that help reduce wind drift to become a better shooter of cast bullets at black powder velocities. or handguns into the realm of big-bore top-of-the-line bullets for competitive long-range accuracy. Containing years of the author's personal experience, compiled in the interest of gaining knowledge and utilizing the cartridge's full potential. Expanded version includes six more years; Lever Marlin 1895SS Navy Arms Buffalo Rifle plus the new long range .45-70. Shooting the Black Powder Cartridge Rifle. Matthews. The most authoritative work on paper patched bullets. The current resurgence of single-shot and black-powder rifles creates a need for up-to-date and accurate information about paper patched bullets. This book presents today's most thorough, fully illustrated source of information for those who enjoy a taste of the past. Explores the history, construction, & care of one of America’s finest firearms. 169 B&W photos, 35 illus; 328 pgs. 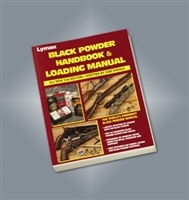 Lyman has teamed up with "Mr. Muzzleloader", Sam Fadala to produce the most comprehensive black powder manual available. This manual is entirely new, from the ground up, and includes thousands of pressure tested loads using Goex and Elephant black powders, Pyrodex RS, Select and P, and Pyrodex Pellets, along with a large assortment of round balls, conicals and sabots. Over three years went into the development of this data. Down range velocities and energies are also given for each load. Sam Fadala brings his well known expertise to this work, covering such topics as choosing your muzzleloader, building the best loads, propellants, ignition, maintenance and much more. In addition, black powder cartridges are well covered with the help of Mike Venturino. There are also hundreds of pressure tested black powder cartridge loads for such calibers as the 45-90, 45-100, 45-110 and 45-120. Cowboy action calibers such as 44-40, 45 Colt and 44 Special are also covered, as well as 10, 12 and 20 gauge shotshells. This is one manual all black powder shooters should own. Walter M. ClineThis extensive compilation of the muzzleloading rifle exhibits accumulative preserved data concerning the development of the "hallowed ole arms of the Southern highlands. 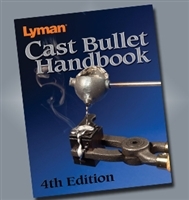 Lyman Cast Bullet Handbook 4th Edn. Lyman Cast Bullet Handbook -the long awaited 4th Edition is here! Written by well-known cast bullet authority, Mike Venturino, this is the most up-to-date and comprehensive cast bullet data available. Learn to create beautiful, functional powder horns. 275 colour photos illustrate working, shaping, decorating, and finishing techniques. Historic and modern tools and equipment are introduced for inlays, engrailing, and scrimshaw. Leather strap weaving and braiding methods are also provided for carrying the finished horn in an authentic manner. 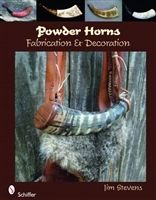 For inspiration, a photo gallery shows finished powder horns and a contact list includes the artists featured. There is no better resource for the craftsman seeking to make an authentic, functional powder horn. Loading and Shooting Paper Patched Bullets. Wright. Born at the crack of dawn of the centerfire cartridge era, the venerable 50-70 is still very much with us today. Over one hundred years after its adoption by the U.S. Army, it is the oldest American centerfire cartridge for which rifles are still chambered as standard. Soft cover, 6 x 9", 124 pages. 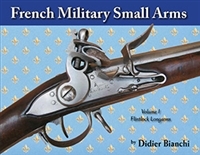 The most extensive guide to French flintlock military long arms ever to appear in English. Concentrates on identification and service use, covering everything from Infantry Muskets, Rampart Guns, Dragoon Muskets, Cavalry Musketoons, Constabulary Musketoons, Naval Muskets, Hussar Musketoons, Foot and Mounted Grenadier Muskets, Arms of the Mamelouks, Lancers' Musketoons, Royal Muskets, Muskets of the Bodyguards and much more. This is the first of two volumes. A beginners guide to loading and shooting traditional Schuetzen rifles. This third edition contains a special Forward written by Craig Boddington who says, "Shooting The British Double Rifle stands as the finest, most complete and most comprehensive reference on the subject". Graeme Wright tells us, "This book will appeal to a variety of firearms enthusiasts. Firstly, of course, are those who own or use double rifles. However, shooters with just an interest in double rifles (ammunition, ballistics and how they work) will also find this book invaluable." The book contains fourteen Chapters and six Appendixes chock full of useful information. A must have for the British double or single shot rifle shooter. The Gunsmith of Grenville County. Rev Edn. Alexander. Best known for his many magazine articles on gunsmithing topics, Peter Alexander has just released this new gun maker's manual, on Building the American Longrifle. Written for both the novice, and the master gun builder, the author explains the basics of each task, and then he delves into the minutia of the interesting variations. This 402 page volume gives him the freedom to express his views, share his discoveries, and expand our understanding far beyond simple basics. Only hands-on work at the bench will get you closer to longrifle building, than this new instruction manual. Black Powder Long Arms & Pistols: Reproductions and Replicas. Alder. Black Powder Long Arms & Pistols - Reproductions & Replicas by Dennis Adler is the only publication covering the wide variety of reproduction black powder long arms and pistols manufactured since 1959. The sister publication to the award-winning Black Powder Revolvers - Reproductions & Replicas released in 2008, this lavishly illustrated deluxe book with hundreds of stunning color images is sure to be enjoyed and appreciated by black powder enthusiasts worldwide. Written and photographed by award-winning author and photographer Dennis Adler, this new title showcases the most recently manufactured makes and models. Black Powder Long Arms & Pistols - Reproductions & Replicas is a must-have book for anyone who collects or shoots black powder replicas. This book is long out of print and Bunduki Books has been fortunate to locate a new copy. Welcome to the 19th century when men were men and a .45 calibre slug settled more arguments than lawyers! Back in the Old West, the black powder revolver ruled the roost and everyone from Civil War soldiers to town marshals, Texas Rangers, and saloon girls was packing a six-shooter. Even though films and television have made the Old West a little bigger than life, the guns of the era are as real as Wild Bill Hickok, Wyatt Earp and Buffalo Bill Cody. 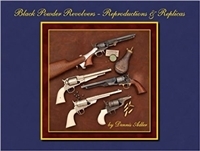 Black Powder Revolvers - Reproductions & Replicas by Dennis Adler is the only publication in print covering the wide variety of reproduction black powder revolvers manufactured since 1959. Lavishly illustrated with hundreds of stunning colour images, this newest deluxe book in oversized landscape format from Blue Book Publications, Inc. is sure to be enjoyed and appreciated by black powder enthusiasts worldwide. Not only are all the 2nd and 3rd generation Colt revolvers and variations depicted in colour with specifications, but Uberti, Pietta, Remington, and many others are also included with descriptions. Whether you're a casual black powder shooter, SASS member, re-enactor, collector, or history buff, Black Powder Revolvers - Reproductions & Replicas is sure to be a valuable addition to your library or coffee table. Black Powder Revolvers Reproductions and Replicas takes you back to those days of old with a rousing history of the guns that settled not only the Civil War but the American West. Starting with a history of Colt s revolvers from the 1830s Patersons to 1862 Pocket Models, and continuing through the major competitive makes of the 1860s, this book will give readers an insight into the guns and gunmen from one of America s most epic periods. Today s modern copies of these famous sixguns and their evolution from the first cap and ball revolvers of the 1830s to the metallic cartridge firing models of the 1870s and 1880s, unfolds in eight fact-filled chapters with some of the most lavish photography of any gun book ever published. Discover how modern machinery, quality conscious craftsmen, and engravers of the 21st century manufacture revolvers that rival the 19th century originals. Written and photographed by award-winning author and photographer Dennis Adler, this new and updated deluxe volume in oversized landscape format is based on Adler s 1998 book Colt Blackpowder Reproductions and Replicas, and now showcases the most recently manufactured makes and models. Black Powder Revolvers - Reproductions & Replicas is a must-have book for anyone who collects or shoots black powder revolvers. and new comments included, helping to clarify some of the existing material. and related subjects, including 20 pages of load specifications. This is the first completed volume of the four volume set. 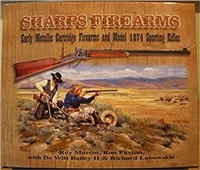 It contains ten chapters, starting with the early and developmental Sharps metallic cartridge firearms and ending with chapters on buffalo hunting on the frontier and the legendary Sharps buffalo rifles and the hunters that used them. An extraordinary book for the seasoned gun collector as well as the researcher, historian and astute book collector. This four volume set will be the definitive books on the Sharps rifles and carbines. The final chapter provides even more context to the story by presenting notes concerning 199 hunters who corresponded with the Sharps company. The amount of information regarding each hunter varies from short extracts from letters they sent the firm, to full biographies that include photographs. From the standpoint of collectors the most important aspect of these remarks is that in most instances they include details of the rifles that were ordered together with their serial numbers. From a broader perspective the accounts are of significance in that they demonstrate the disparate nature of the men involved. Every strata of American society was represented from Civil War veterans to recently arrived immigrants, and youths, eager to make a mark in life. While some were extremely successful, others did not survive the experience.